> Intelligencer > Is There a Free MOOC in Your IT Training and Education? Is There a Free MOOC in Your IT Training and Education? Massively Open Online Courses (MOOCs) gained significant popularity in recent years through universities and free MOOC IT training offered through this outgrowth of distance learning is on the rise. As with other open-source-type movements, free access to MOOC content has been favored by people who wish to learn without the typical cost associated with education and training. Almost any online instruction that is free to anyone has come to be referred to as a MOOC, although those offering credits or certifications will charge fees. According to Dr. Sorel Reisman, Managing Director of Merlot.org, a vast open resource for educational and instructional materials, “MOOCs give everyone an opportunity to access a range of quality of online instruction that used to be proprietary.” Dr. Reisman is a Fulbright Specialist in OER (Open Education Resources), Professor, Information Systems at CSU Fullerton, and President Emeritus, IEEE Computer Society. Dr. Reisman also notes that early MOOC models which have since failed, though some still exist, consisted primarily of lectures—arguably an inferior form of instruction. Online learning is now frequently offered in more interactive ways and very often with forums for discussion among students and teaching assistants. The teachers themselves are less often in contact with students at many MOOCs. Merlot.org is an excellent resource for instructors and students alike. Many of the materials available there are peer reviewed, available through Creative Commons, and often are offered at no cost. Communities centered on different subjects are offered and students will find that Merlotx.org is great resource for lists of free courses. There is even a community centered on mobile learning. MOOCs may be well suited to employee IT and business training since they are always available, typically use e-mail to communicate reminders and some course content, and don’t usually have to be visited at specific times during the week for instruction purposes. Employees can therefore choose when to fit the training into their schedule. When obtaining MOOC education, using a newer computer that is less than three years old may be advisable since some courses may require installation of other software as part of the instruction. Also, a good Internet connection on a wired network may be favored over wireless since they can be more stable and provide more bandwidth for audio and video streams. 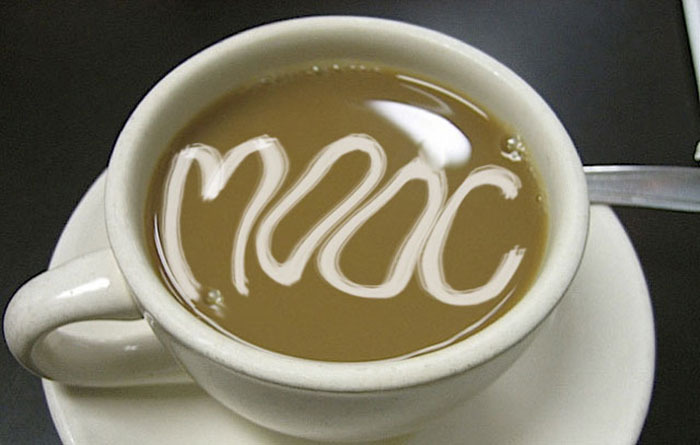 Several well-known MOOCs offer free technology and computer science courses. These include edX, formed by the Massachusetts Institute of Technology and Harvard University, Coursera, and Udacity, which grew out of free computer science classes offered through Stanford University in 2011. Then there are corporate offerings such as from Microsoft Virtual Academy, which may not be referred to as a MOOC, but has free courses such as those to help organizations migrate to Windows Server 2012 or from Windows XP to Windows 7. Organizations that use MOOCs for employee training should keep in mind that certifications will typically have a cost if they are available. Since authentication of users who take training and tests is still a challenge, you may not have absolute certainty that the employee claiming a certification actually did the work to get it. Another thing to consider is that MOOCs must use scalable assessment methods. This means that testing will typically consist of multiple-choice, matching, and other methods that can be checked automatically. Questions and tasks that require human review and scoring are less common. Despite these pitfalls, MOOCs may be a practical education and training solution—particularly for small organizations that have razor-thin training budgets. The full spectrum of subjects may not be freely available yet, but the list of courses and available educational materials through organizations like Merlot.org is growing every day. If you are not using free MOOCs yet, you may soon since they appear to be here to stay and may well disrupt the education and training markets in the process. What has your experience been with MOOCs? Photo by S B F Ryan, taken from Flickr Creative Commons. Massively Open Online Courses (MOOCs) have become popular in recent years and free IT training is one benefit that organizations can gain from this open-source-type movement.